Looks great!! Can you tell me which is your workflow for the textures? 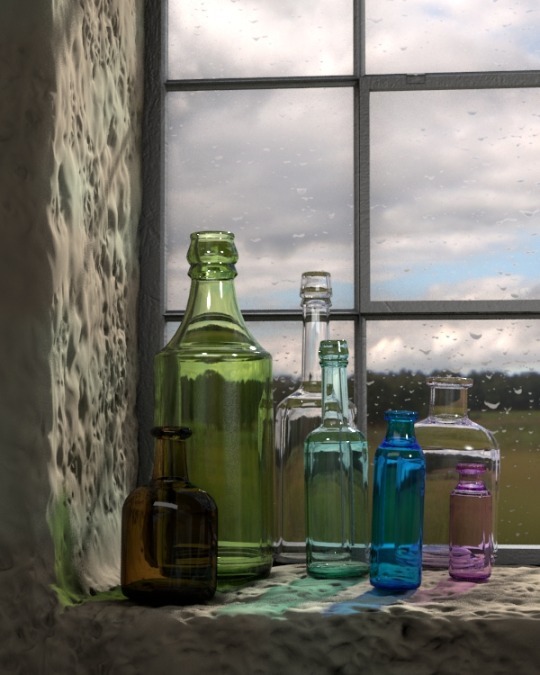 I basically textured in Mari, exported the usual maps Diffuse, Bump, Spec, but for the windows and the bottles I used a weight map for the roughness in the material. This is my first time posting work. I really like the images people are posting. I started the challenge a bit late but here is my first pass at it. 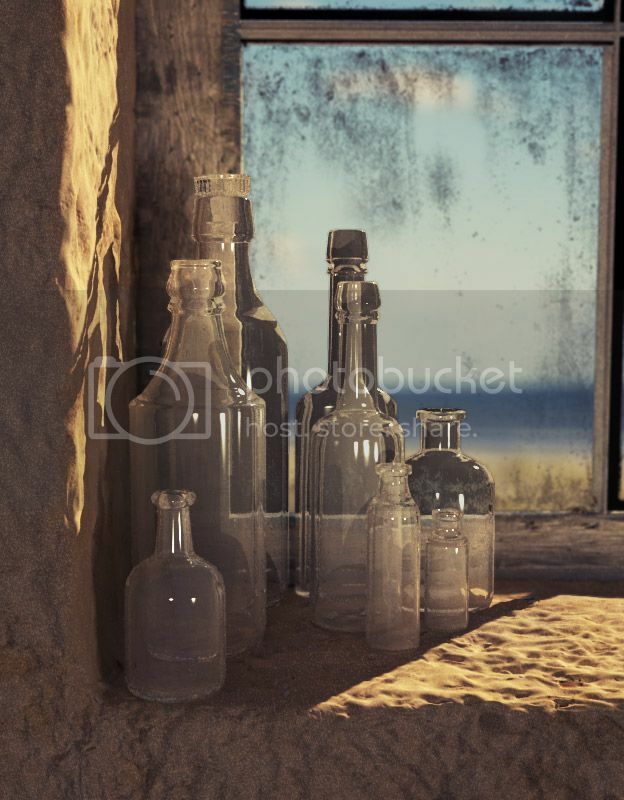 A few things that I would like to address next are making the bottles more distressed, work on the texture for the window frame and wall, and changing light direction so that the shadows from the bottles read better. I like the overall colors of the scene. 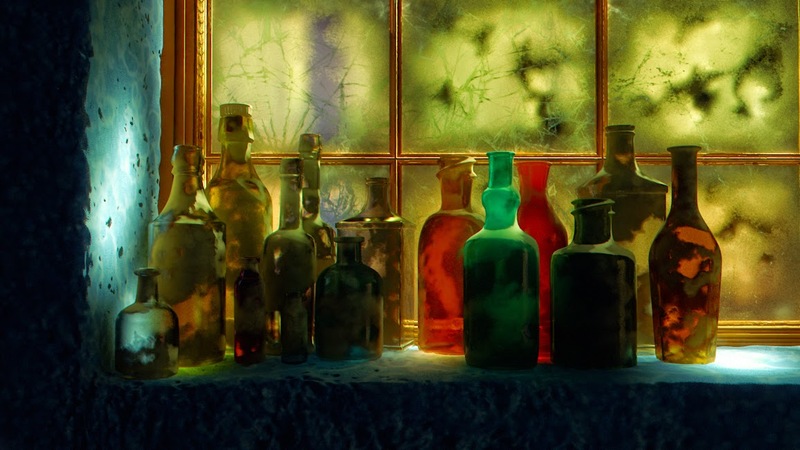 A few bottles near the window (especially the ones with strong caustic pattern in their bases) appear to be “hovering”. Just my thoughts on this. 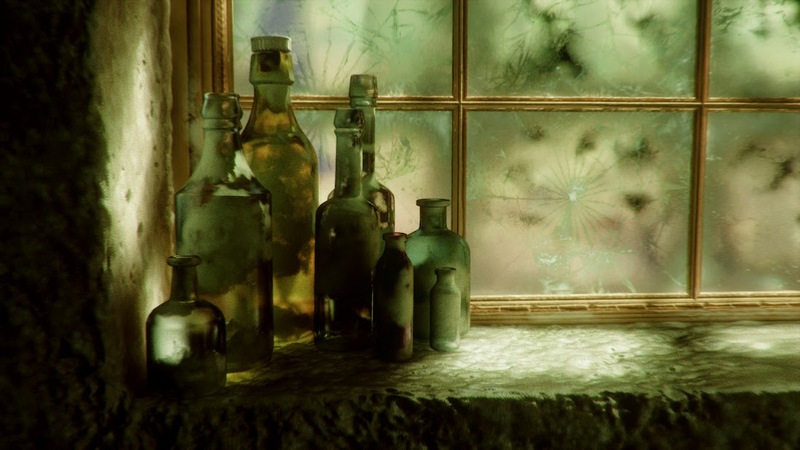 Also, can you please share how you achieved the cracked glass effect? Hi Assymetry, I have created textures for the crack and some attributes of the shader, you can get the shader and textures that I created here. 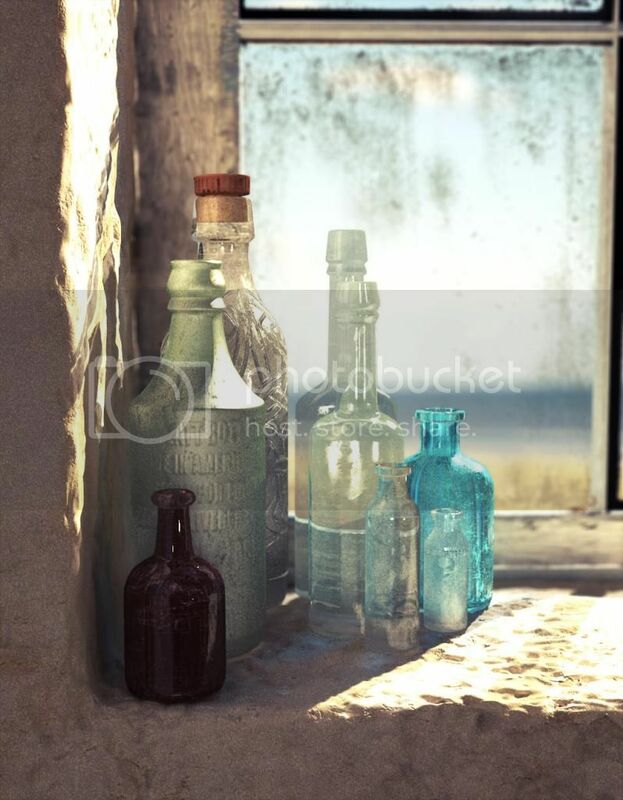 I am not also satisfied to the caustics in the bases of the bottle, still doing some editing. WIP 2. Starting to get some texturing. Needs tons of work but Im getting closer. Ganna get some spider webs and dirt going. Also will probably get some dust in the air as well. BTW great entry so far I really love this challenge ! Hey people. long time no see! This is really a nice setup so I did some rendering. Congrats to all and keep going. @zbugja Hell yes I love it. What renderer are you using? 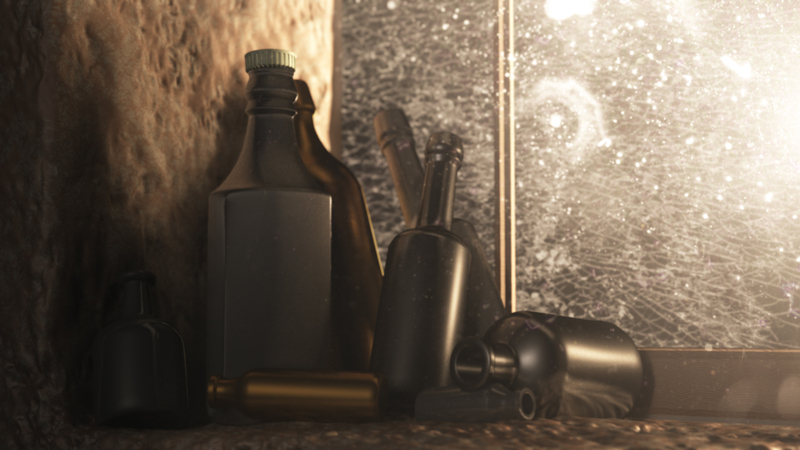 Decided to go a different route then everyone and make the bottle more of a metalish type material(save some render time, computer is rather old)… After about 3 hours of work this is where i’m at. 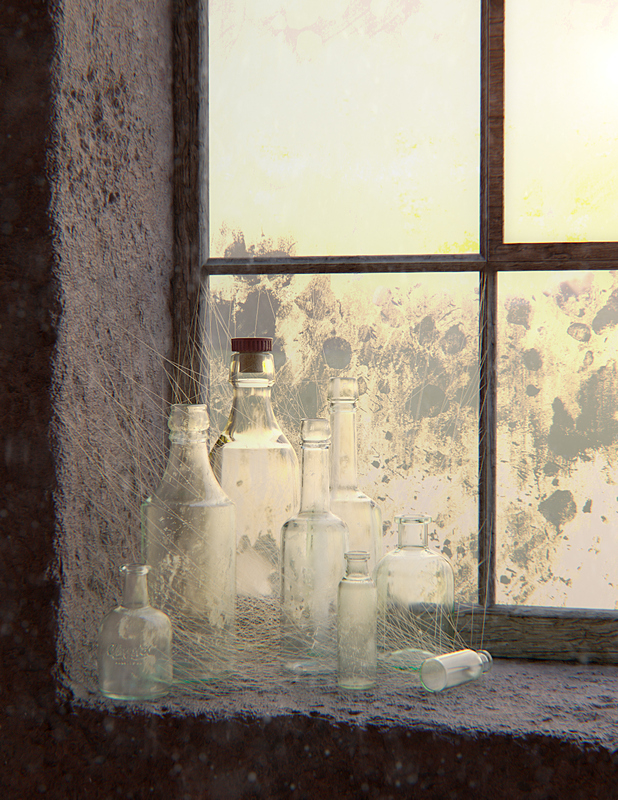 Next step for me is to dirty up the metal bottles… Mental Ray, feedback always welcome. [left]Hi, ok here’s my final image for this challenge. 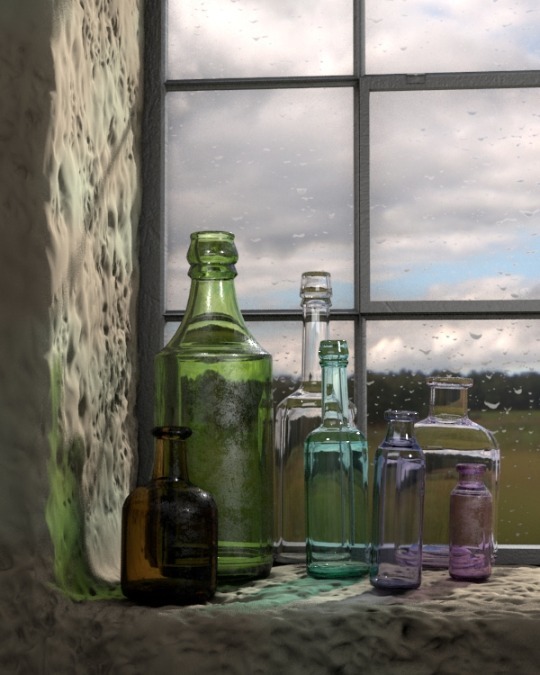 I really enjoyed doing this one, glass is always a tricky shader to get nice. Mostly textured in Mari & rendered in the new Corona 1.0 release. The cobwebs were done using JokerMartini’s max script… which is awesome! The lighting setup was very simple, just a HDR and sun light. It could have probably done with some dusty volumetrics but I leave it for now. Looking forward to the next ones! Thanks. Ok so this is my final, i tried to make up a murder scene , it has some mistakes , won’t able to re-render (my computer is slow) took 6 hrs , also its early morning so i am feeling sleepy , awesome challenge! ,learnt a lot. I need your feedback to improve my skills , Thanx! Lighting and Color test post. No Textures. Purely Grey. Unfortunately did not have enough time to enter challenge. Want to post something nevertheless. Thank you for sharing the technique for the shader. Here is my final submission, rendered with corona and post in after effects. Hires can be viewed here. 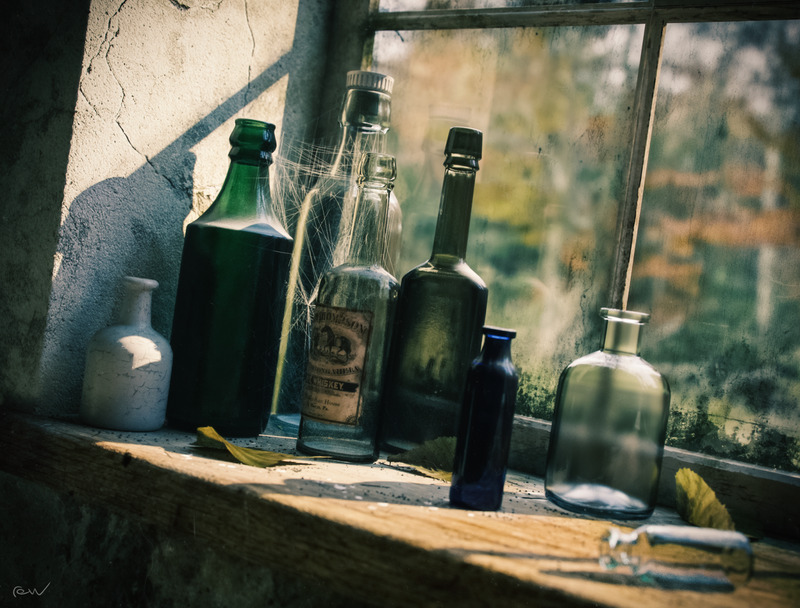 Here is my latest render with just a few more details in some of the bottles. Here is my rendering…done in Houdini with Mantra. Some dirt and grunge will be added.